Blue is often relegated to bedrooms and bathrooms, but it is also the perfect color to incorporate into your kitchen design. Blue is a cool color, so it helps to tone down the natural heat of your kitchen, and it brings a calm and inviting feel to this room that is often the gathering place for family and friends in your home. 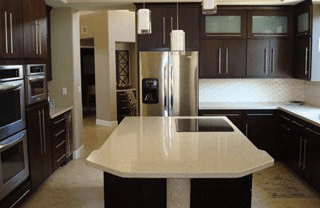 If you’re interested in using blue in your kitchen renovation, here are some ideas for incorporating it into your décor. If your kitchen renovation involves stainless steel appliances and fixtures, blue-gray is the perfect shade to enhance your look. Lighter blue-gray hues will brighten your space and keep it from looking too drab while making the silver of your appliances and fixtures pop. 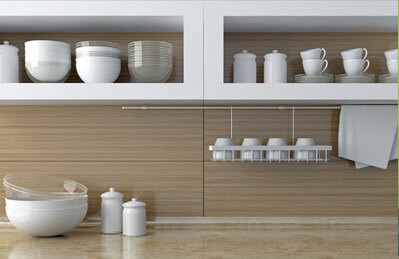 This look works best with white cabinets and white or light-colored countertops. Add blue-gray paint to the base of your kitchen islands or incorporate it with backsplash tiles. A twist on this look is periwinkle blue, which has purple tones that soften the starkness of steely blue-gray shades. Brighten up your kitchen and give it a coastal feel with aqua-inspired blue shades. This kind of blue is light and airy, and with its light green undertones, it evokes nature. Blues in this family are perfect for your walls, and they can also be used for rustic-wood cabinetry. Cobalt, navy, and even deep, tropical blues make a strong statement in your kitchen. Because too much of these colors can make your space feel closed in, add them as accents with neutral base colors. Using bold blues in this way will add drama to your kitchen without taking it over. 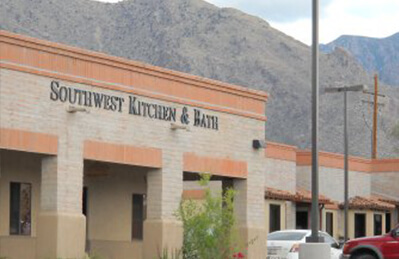 For help with your kitchen remodel from start to finish, choose Southwest Kitchen & Bath. 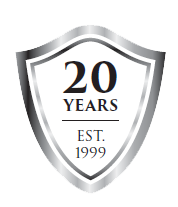 From remodels to cabinet refacing, we can help you give your kitchen or bathroom a new lease on life. 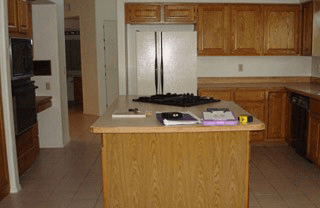 To learn more about kitchen renovations in Tucson, call (520) 531-9187.